High-technology automated production cycle allows to uninterruptedly achieve products of guaranteed high quality. The equipment from the best manufacturers from Belgium, Germany, Denmark, Canada, and the USA is used at the plant. AdamPolSoya™ produces high-protein meal, crude degummed soybean oil, pelletized hulls, white flake, and liquid food-grade lecithin. 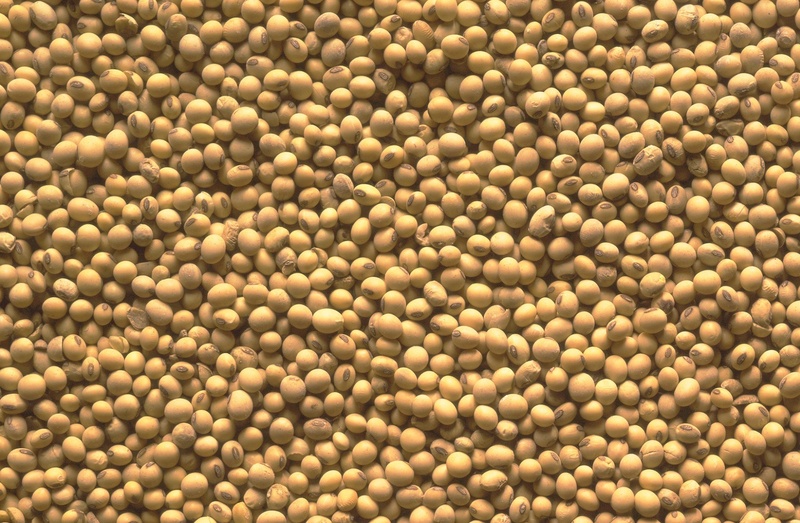 The plant"s production capacity is 1,500 tons of soybean per day. 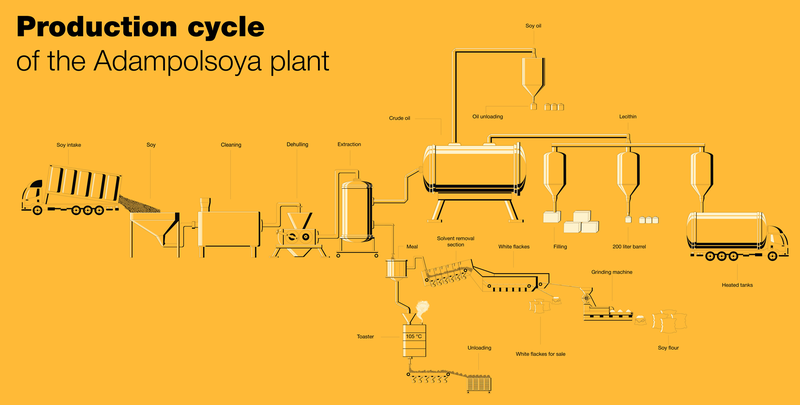 AdamPolSoya™ oil extraction plant is a contemporary European production facility. The process of extraction of oil from soybeans. ​Hexane is vaporized from the meal, that remains after the extraction. The plant has at its own disposal elevators of 60 thousand tons storage capacity at the facility, and 200 thousand more outside the facility. Soybeans are crushed into 8 parts and flaked to 0.3 mm thickness in order to make the extraction process easier.